Money and grace. What do they have in common? Sounds like the start of a joke? But really. Nothing, right? Grace is the coin of the realm for the kingdom of heaven; money is the coin of the realm for the kingdom of earth. They are totally different. But here's Paul, who doesn't buy it. Paul takes money and grace and links them inextricably. 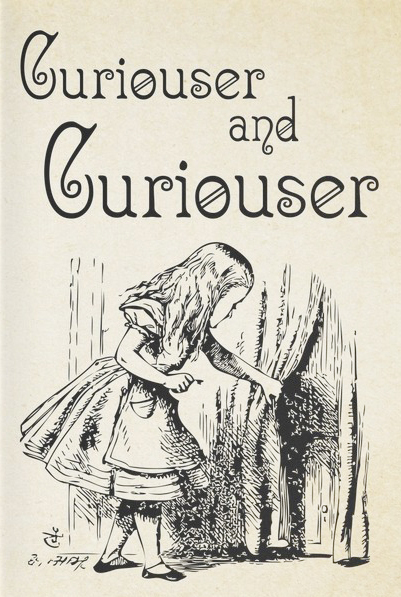 Like Alice down the rabbit hole, he turns our understanding of the world on its head! Let's consider money. It's kind of a personal topic. We generally don't share how much we make, sometimes not even with family. Same with how much we give. And when it comes to church, we spend as little time as possible talking about it. Sermons on stewardship probably rank right up there with going to the dentist for popularity! It's not that different from grace. Oh, grace is a lot more popular topic than stewardship. What's the most popular hymn of all time? Right. Amazing Grace. Even people who aren't religious love that song. But grace is something most of us consider to be a profoundly personal topic. Grace is about my personal relationship with Jesus. Grace is between God and me. So what Paul does is very curious. He marries grace and money, and he makes them very public. You might be surprised to learn that, even though we heard the word “grace” only twice in the readings, the word for grace actually appears eight times in these verses! Paul paints a picture of a kingdom full of kindness and generosity, a kingdom where grace is the coin of the realm. That might seem a bit odd, since Paul is writing to ask the Corinthians for money. What do money and grace have to do with each other? How does money, which when we love it too much is said to be the root of all evil – how does money show up right next to grace, this great and beautiful gift of God? Oh, the curious economics of Jesus! Let's take a closer look. Here's how Paul begins this chapter: “Now I want you to know, dear brothers and sisters, what God in his kindness has done through the churches in Macedonia.” (2 Cor 8:1) That word, kindness? That's actually the first instance in our reading where the Greek word is grace. So what has God in his kindness done for the churches in Macedonia, the believers who live sort-of next door to the church in Corinth? He's given them joy! Let's read: “They are being tested by many troubles, and they are very poor. But they are also filled with abundant joy, which has overflowed in rich generosity.” (2 Cor 8:2) Abundant joy. This joy must not be the result of their circumstances, because Paul says they have many troubles and are very poor. But they are simply overflowing with joy. Why is that? God's kindness and grace. The believers are just welling up and pouring over with joy, because they have the greatest treasure of all – Jesus. I want to read you another translation of this same verse. “In the midst of a very severe trial, their overflowing joy and their extreme poverty welled up in rich generosity.” (NIV) Let's try this as a math equation: Joy plus Poverty equals Generosity. Curious! Here's the second time the word for grace shows up. See if you can pick it out: “They begged us again and again for the privilege of sharing in the gift for the believers in Jerusalem.” Can you guess which word it is? Privilege. Poor as they were, they begged Paul for the privilege – the grace – of sharing their money! In the curious economics of Jesus, the grace of God makes us so rich we overflow with joy, even if we are poor in material things. And not just that! Grace urges us to give it away; grace has us pleading for the privilege of giving. It's more than a bit unusual. In the economic system we are used to, most people start out poorer than they'd like to be, and they work hard to get ahead. And here's Jesus, who starts out rich and gives it all away! Here's how Paul puts it: “You know the generous grace of our Lord Jesus Christ. Though he was rich, yet for your sakes he became poor, so that by his poverty he could make you rich.” Jesus started off rich and gave it all away, so that we could become rich! But Jesus didn't give it to us to hoard. In our joy at gaining Christ, Jesus wants us to give it away. Sure you say, I may be spiritually rich, but I don't feel so rich in terms of money. I hear you. There's never been a point in my life where I had so much money I didn't need to be careful with it. I've never been what the Macedonians were, extremely poor, but I've never felt rich, either. When I was a kid, the only clothes my parents could afford to buy were ones I thought made me weird. (I was wrong of course; it was just me that was weird!) When I was 20 and a poor college student, I couldn't afford a whole lot of things. When I was single and trying to make it on my own for the first time..., when George and I were a one-income family raising small children..., now when we are looking toward September and having two kids in college (Pastor Don and Claudia, we feel your pain!) – at every point there is never quite enough. Do you ever feel like that? So how is it the Macedonians, poor as they are, feel so generous? This is how: when God in his grace fills us with joy, it has to overflow in generosity, even when we are poor. The times in my life when I felt richest are the times when I've been most generous. Just after college, I was working a job that paid very, very little. A family who had sort-of adopted me during college left to become missionaries at a seminary in France. I loved Tim and Kerry and was so grateful for how they had invested in my life, so over the next couple of years I faithfully sent $50 every month to support their ministry. Do you know how rich that made me feel? I found a story on the internet this week. Seems this gentleman decided to celebrate his 65th birthday by giving away money to total strangers. Here's what he posted on Facebook: "This day has been one of the biggest blessings of my recent life. I don't know if I can wait until another birthday to do this again. But what if it became a habit?" Paul understands that, for those whose lives have been touched by God, you just can't separate joy and generosity, grace and money. Being generous blesses us! Let me show you something else that's curious. Look at verse 6 of chapter 8. The Greek word for grace is hiding in this verse. See if you can find it. “So we have urged Titus, who encouraged your giving in the first place, to return to you and encourage you to finish this ministry of giving.” Know what it is? It's “ministry of giving.” The translators used a whole phrase to interpret it. Ministry of giving. Same thing as grace. Curious! In the economics of Jesus, you just can't separate grace and money. Joyful generosity characterizes the life of believers, because generosity characterizes the life of Jesus. As with the Macedonians and the Corinthians, the Chimacumians here at Lutheran Church of the Redeemer are also finding joy in generosity. When you and I put our tithes and offerings in the plate on Sundays, we are helping to share the good news of Jesus. I wanted to share just four of the ways we are doing that, two of them close to home and two on other continents. How many of you remember meeting Pastor Sheika and Haaka when they visit? Sheika and Haaka live in Ulan Bator, capitol of Mongolia, a country sandwiched between Russia and China. The church started from scratch there in 1991. There were zero Christians before then. Sheika and Haaka have heard God call them to plant churches in their country. Rob and Eshinee Veith: In 2008, while in Botswana cataloging the archives of a former missionary, Eshinee found a complete handwritten New Testament in the Shiyeyi language. Her heart was touched by the desire of the translator to bring God’s Word to his people. She spent several years training and working with local Christians to get it ready to be published, while Rob supported African churches in writing worship music in the language and music of their local communities. A few months ago Rob and Eshinee moved back to Bellingham. Now Eshinee coordinates the training programs for all of Lutheran Bible Translators' staff and missionaries around the world. Rob recently led music workshops in Eastern Europe (Kosovo and Albania). A third thing our giving does is to provide Pastor Don with the ability to help people who are experiencing a crisis of some sort. They might need help to keep the power on, or to pay the rent, or repair their car. These funds let us be Jesus-with-skin-on to the community. A fourth thing, and one of the biggest things we do as a church, is to pay our pastor so that he can speak God's word to us and our neighbors, in normal days and in the crises each of us faces sooner or later. One, give with your heart. Paul says, “You must each decide in your heart how much to give. And don't give reluctantly or in response to pressure.” (9:7) Why the heart? Because the heart is where joy lives. Give out of joy. Don't give because of a rule or out of guilt. Two, make a plan to give. Giving is a decision. Don't do it compulsively. Sit down, talk with God, listen to your heart, and make a decision. The curious economics of Jesus, who though he was rich, became poor for our sake, so that we through his poverty might become rich. Why? So that we might give it away.